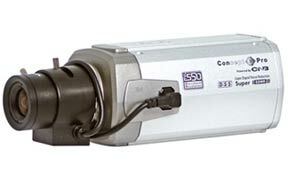 We install the entire range of high grade Genie CCTV systems. Below are a some examples of the DVRs and cameras that we use. 4-Channel Triplex Digital Video Recorder, TOUCH PANEL, H.264 Compression, Real Time Recording (CIF), Built-in DVD-RW, 2 USB Ports (Rear USB for Mouse Control), Free Multisite Client Software, Easy to Use Graphical User Interface (GUI), Password Protection (5 users), 2 HDD Sizes Available (SATA), Supports upto 1Tb Internal Storage, Remote Control, 100FPS Recording @ CIF. 16-Channel Quadraplex Digital Video Recorder, Simultaneous Record / Playback / Backup / Network, DVD Rewriter, Easy to Use Graphical User Interface (GUI), Intelligent HDD Monitoring System, Watermark, Watchdog, Covert Camera, Password, Event Log Viewer, Pre-Alarm Multi-Channel Playback, MPEG4 Compression, Embedded RTOS, Networked (10/100Mbs NIC), Motion Detection, 8 x Alarm Inputs and Outputs, 8-Channel Audio Input, Single Channel Audio Output, BNC / Spot / VGA / S-Video Outputs, RS485, Comprehensive Remote Viewing & CMS Software, Supplied with Mouse and IR Remote Controller. (HDD Sizes Available in 250Gb, 500Gb, 750Gb, 1Tb or up to 3Tb Internal Storage). INTUS Camera With 2.8-12mm DC AI VF Lens, INTUS Ultra High Resolution True Day/Night Camera, 550 TVL, 1/3" Sony Super HAD CCD, 2.8-12mm DC AI VF Lens, 0.00004 Lux, Impact Resistant Housing, Mechanical IR Cut-Filter, SDNR, D-WDR, OSD, 256x Sens-Up, 14 IR LEDs, 15m IR Illumination*, IP66, DC 12V. INTUS 70 Ultra High Resolution True Day/Night Night Vision Camera, 560 TVL, 1/3" Sony Super HAD CCD, 5-50mm DC AI VF Lens, 0.002 Lux, Impact Resistant Housing, Sunshield & Heater, Mechanical IR Cut-Filter, DNR, OSD, 128x Sens-Up, Adjustable IR Flaps, 112 IR LEDs, 70m IR Illumination*, IP66, Soffit/Wall Mount, Dual Voltage. Some typical examples of other high quality CCTV systems that SSM Ltd install. The VHSD-770EXT provides exceptional low-light performance with advanced image signal processing. The powerful processing capacity of the VHSD-770EXT maximizes the quality of the footage in extremely low illumination levels and is our best performing high-speed dome camera in low light conditions. With the 23x zoom function this camera is the premier solution to any installer needing a competitvely priced high-speed dome without compromise. Suitable for a wide variety of outdoor surveillance applications, the VHSD-770EXT features 127 preset positions, 4 pattern tours and 8 variable speed tracking functions which can be configured to 8 group profiles allowing a near hands-free operation. 8 alarm inputs and 4 alarm outputs at the head offer plenty of flexibility for connection of proximity sensors and other external equipment. Utilising the Pelco P and Pelco D protocols, the VHSD-770EXT can be fully integrated with most installations and is an excellent legacy systems solution. Both Power Supply and Wall Mount Bracket are supplied. Enclosed in a discreet, vandal resistant and weatherproof housing, the VHSD-810EXT provides a reliable surveillance solution in the most hostile and demanding of environments. 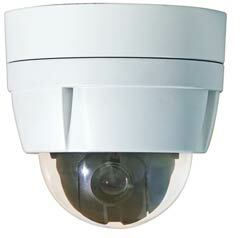 The speed dome features an 10x optical zoom, autofocus lens and a 1/4 inch Sony Super HAD interlaced CCD image sensor. 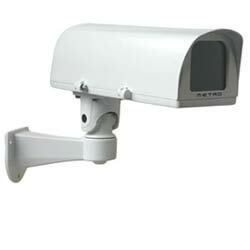 It has an IR-cut filter that can be automatically or manually removed, depending on the light conditions. This enables the camera to capture color video in light conditions down to 0.7 lux, and black and white video in dark conditions as low as 0.02 lux. The VHSD-810EXT now incorporates a schedule function allowing the operator to program the dome to be at a certain position or performing a tour or pattern at a particular time and day of the week. when its needs to be. The VCP2219 is a high resolution day/night camera utilising cutting-edge technology and offering exceptional value for money. 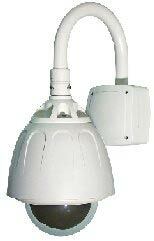 Featuring 550TVL and day/night operation, the VCP2219 produces sharp, high quality images in almost any environment. 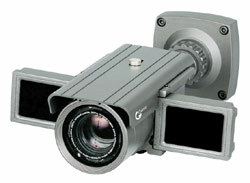 Incorporating a built in DSS (digital slow shutter) this camera is able to operate in light levels as low as 0.001 lux. The VCP2219 offers a cost-effective solution for a variety of applications, particularly where round the clock surveillance is required. 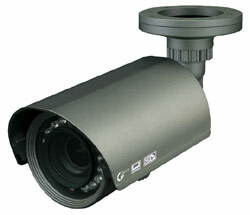 The VLP4026 is a high resolution weatherproof IR camera. Housed in a unique weatherproof housing, the camera comes complete with a convenient fixing plate, cable managed bracket and external lens adjustment to ensure a quick and easy installation. Amongst a host of advanced features, the VLP4026 boasts an impressive 550TVL providing superior picture quality. Incorporating 42 IR LEDs, the VLP4026 is able to capture images at a range of 40m in light levels as low as 0.0 Lux (IR LED on). 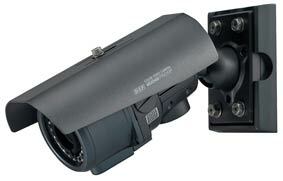 PLEASE NOTE: This VLP4026 bracket restricts camera positioning to 30º. Suitable for forward facing applications only.